Bissonette's Sew and Vac | Vacuums, sewing machines, and expert sevice that people recommend to their friends. We at Bissonette’s have been listening to our customers, and customers have told us that they do not want to throw away vacuums every couple of years. They want affordable, allergy-friendly vacuums that pick up the dirt and keep it in the vacuum without spitting it out or blowing fine particles into the air. Our customers want sewing machines with a quality stitch that won’t hold back their creativity. And our customers want to clean their homes with products that are kind to their families and the environment. Here at Bissonette’s we offer the American engineering of Riccar vacuums, the German engineering of Miele vacuums, the precision and customer-driven design of Janome sewing machines, and the chemical-free cleaning solutions of e-cloth. 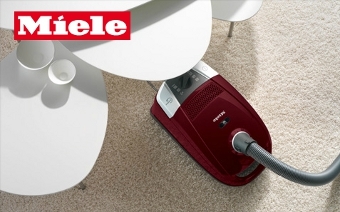 We also offer a selection of reconditioned vacuum cleaners and sewing machines. Our extensive inventory of parts, including hard-to-find belts and bags, is the largest in the area. And customers love our FREE ESTIMATES available on all vacuum-cleaner and sewing-machine repairs. We service all makes and models, including Miele, Riccar, Cirrus, Fuller Brush, Janome, Viking, Singer, Pfaff, Babylock, Electrolux, Kirby, Kenmore, Eureka, Hoover, Dyson, Dirt Devil, Bissell and more. Located in Houghton across M-26 from the Copper Country Mall, we’ve served customers coming from all the surrounding communities such as Hancock, Ontonagon, Baraga, L’Anse, Calumet, and the Keweenaw. 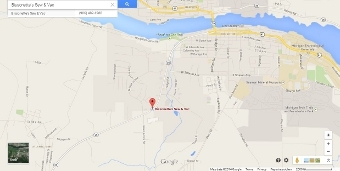 Click here for map and driving directions. We are open Monday through Friday 10 a.m. – 6 p.m. and Saturday by appointment. Many of us have memories of our grandma’s old vacuum cleaner, the one that she had for years. People have been disappointed with the performance of the vacuums that they purchased from big-box retailers. They worked okay for a while, but then they lost their ability to pick up dirt. Quality vacuums are still available at an affordable price, but most people haven’t heard of the brand names because they’re only sold at authorized dealers. 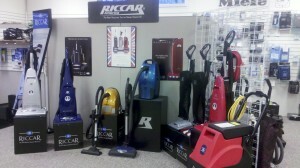 Bissonette’s is an authorized dealer of quality vacuum cleaners like Miele and Riccar. These products are made with commercial-grade parts even in their residential products, such as metal fans that do not deteriorate as abrasive particles pass through the vacuum. The same goes for sewing machines. You can get a basic machine at a big-box retailer, but it will lack the quality parts and features available in machines sold at dealers like Bissonette’s. 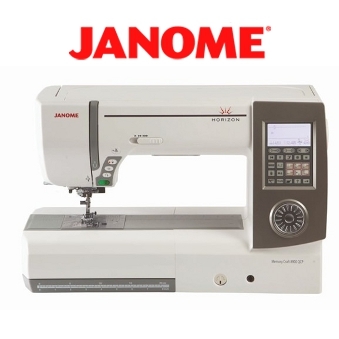 We carry the Janome line of sewing machines that has a consistent stitch balance. Even quilters will be proud to show the perfection of every stitch. Contractors and handymen have known for years that you get what you pay for in power tools. Brands like DeWalt and Milwaukee get the job done, they have value-added features, and they last. We should expect the same performance out of vacuum cleaners and sewing machines, which are often used even more than the power tools out in the garage. 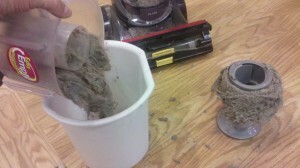 …dirt and grime into the filter, dramatically choking off air flow and shortening the life of the vacuum motor. Fine dust particles are not filtered out and are, instead, blown back into the room. Bagless vacuums are designed for a throwaway society, where the vacuum must be replaced every couple of years. Filters should be replaced frequently, but they’re often hard to find and they can be more expensive than bags. Fine particles leak from the seams of the canister, a cause of concern for people with allergies. If you want to keep your bagless vacuum, we’ll be happy to service it. We can keep it running well, or we’ll help you know when it’s time to throw it out. We even take some vacuums in on trade. 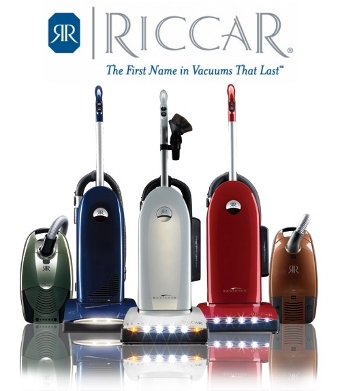 We offer the Riccar extractor, a carpet cleaner with the power of commercial-grade machines without the bulk. Water pressure is what cleans carpets, and the Riccar extractor has twice the water pressure of the machines that one would typically rent from a grocery store. Our 24-hour rentals even include the detergent. 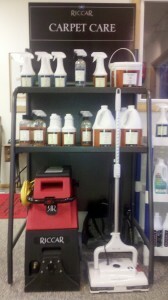 For those who prefer to clean without wetting the carpet, we also carry a carpet dry-cleaning system. This product works remarkably well, even removing dried coffee stains without the use of water. At Bissonette’s, we are delighted to offer a chemical-free cleaning product — e-cloth® microfiber cleaning cloths. For any hard surface, you can achieve perfect cleaning with just water. Most chemical cleaning solutions contain surfactants that bind to molecules. A cotton washcloth or paper towel will then absorb the liquid, along with the captured molecules. Microfiber cloths work by trapping the molecules directly into the cloth. Other brands of microfiber cloths on the market have between 25,000 and 200,000 fibers per square inch. e-cloths have 1.6 million fibers per inch. 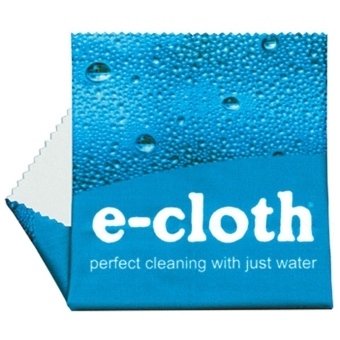 This is possible because e-cloth developed a better manufacturing process. More fibers means more tiny hands picking up dirt and grime.